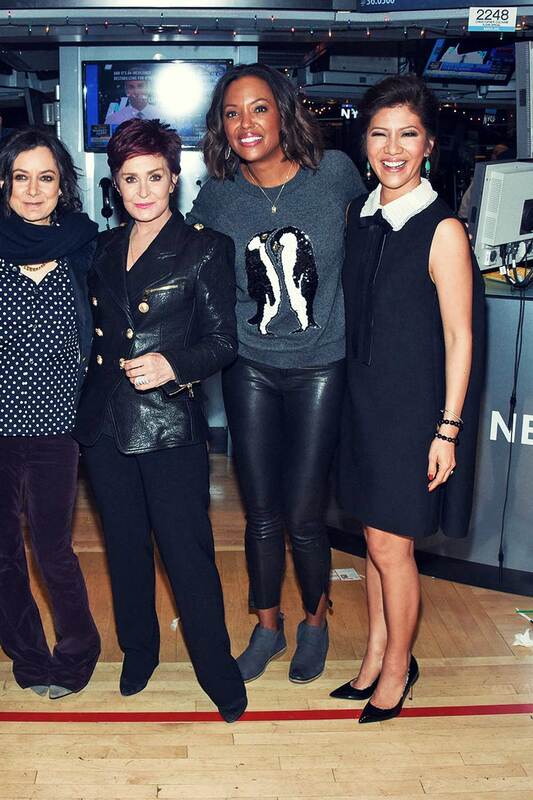 American actress Aisha Tyler decided to wear a casual outfit to ring the closing bell at the New York Stock Exchange in New York City on December 9, 2015. The 45-year-old wore skintight leather pants and a jumper. Aisha highlighted her curves in black leather skinny pants that she paired with grey jumper. She slipped her feet into a pair of comfy grey shoes, and accessorised her look with stylish jewellery that included a chain necklace and earrings. Aisha looked gorgeous! She was wearing her dark tresses down in edgy curls, while she highlighted her features with shimmering eyeshadow, few swipes of eyeliner and mascara, a swipe of bronzer and a dash of pink glossy lipstick. Aisha pulled off this simple look really well.